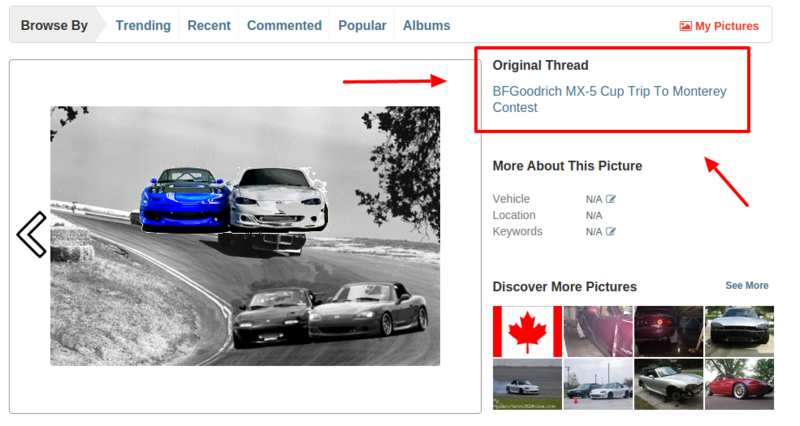 ** Gallery Now Links to Post Where Photo Was Uploaded** - Miata Turbo Forum - Boost cars, acquire cats. I know this is a long time coming but the gallery finally provides a link to the source where the photo was originally uploaded starting today. I wonder who's awesome white miata that is. Now make a button that takes you directly to the first unread post in your subscribed threads. The mobile site does that for any thread you go to. I'm talking about a button you can click on before you even go into the thread. Ideally, it would be next to the page count buttons in your subscribed threads list. Help with LC-1 / Megasquirt wiring, lots of pictures, tell me what I did wrong.